I was asked to show a picture of myself where I was truly happy, and I chose this one. It was a Sunday. I wore a red dress to church, and I came home to be with my family, whom I love more than life. 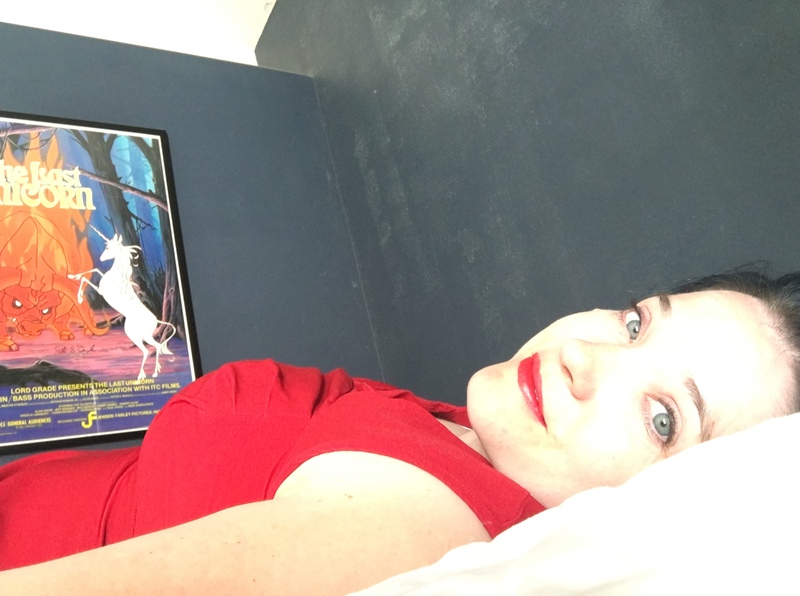 I have glittery walls in my bedroom and an original The Last Unicorn movie poster signed by Peter S. Beagle. Life was good, and it shows. Do you have any pictures that show you at your happiest? I would love to see!